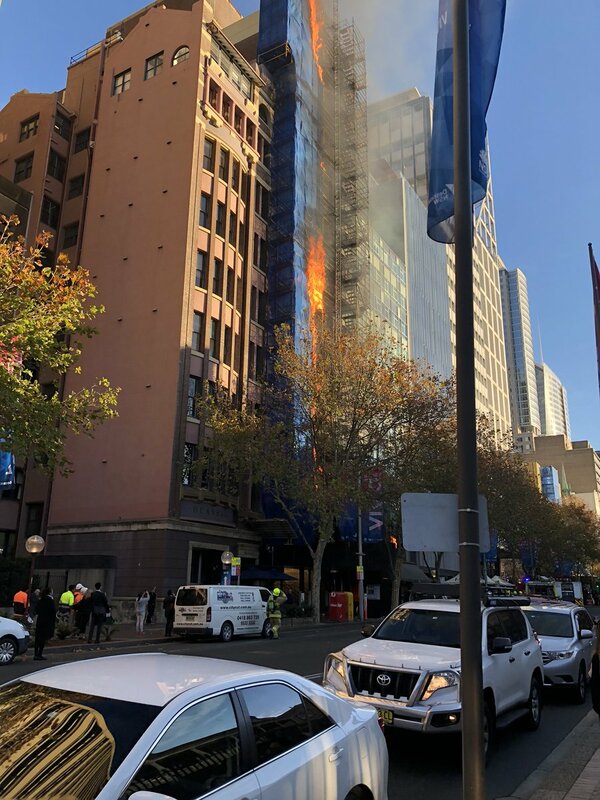 A building has burst into flames in Sydney's legal and medical specialist district Macquarie Street almost opposite Parliament House.as our exclusive snaps show. 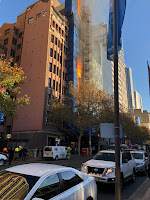 It's not as bad as first thought- the flames are actually consuming plastic sheeting stretching up the side of the building currently being renovated. 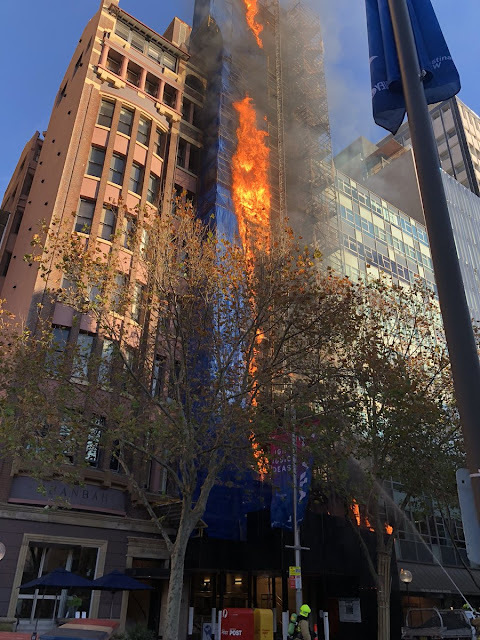 The scaffolding was also in flames. The irony is that the work being carried out was to remove flammable cladding that has caused so much grief in London's deadly Grenfell Tower fire. Fortunately there were no casualties with today's blaze.